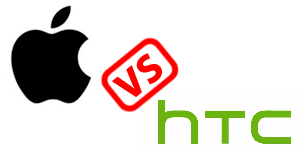 The big news yesterday in the tech world was undoubtedly the lawsuit that Apple filed against HTC for infringing 20 patents granted to Apple over the years. Nobody really knows what Apple is after with the suit but if they come out victorious, it could mean some major changes to many current HTC handsets. Some see this move as a way to stifle the innovation of their competitors and not such an effective way to strengthen brand image. So is Apple to blame or the patent office for granting some ridiculous patents? Engadget has already analyzed the patents over which Apple is suing HTC and there are some pretty vague details in more than a few of them. Many of the patents deal with software like “unlocking a device by performing gestures on an unlock image.” Seriously? Software patents based on a user interface seem pretty tricky and many times they’ve implemented before. You may remember Apple had sued Microsoft for their implementation of the Windows graphical user interface (GUI). The ruling came back that Apple couldn’t get patent protection for its GUI or its idea of a desktop metaphor. 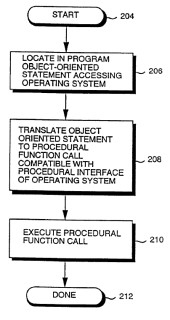 One specific patent, #5,455,599 for which Apple has been granted describes an “Object-Oriented Graphic System” that sounds an awful lot like the one we’ve seen before. That didn’t end up in Apple’s favor at all. No doubt this case will take years to be resolved and it’ll be interesting to see what Apple’s after. If they come out victorious, will they demand HTC ship a software update that removes these features from their devices or will they simply settle out of court for some large payout? Perhaps they’re trying to scare handset manufacturers away from adopting Google’s OS – the OS that seems to be the ultimate target of Apple’s lawsuit. Until it all plays out, we know as much as you but feel free to speculate on Apple’s intentions in the comments.